Unlike TV’s spontaneous Aha! 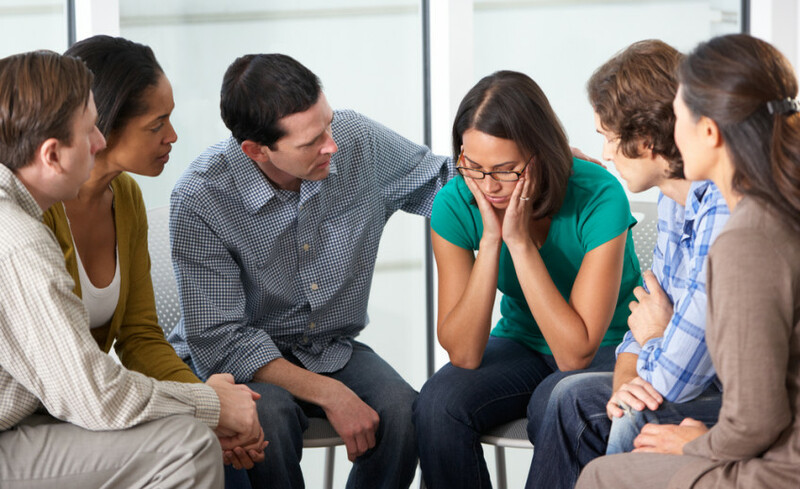 moment that turns around a drug user’s life in the blink of an eye, a successful intervention involves a lot of pre-planning, careful family coaching, and the involvement of a professional interventionist. Given America’s growing opioid crisis and alarming alcoholism stats, getting an adult child into treatment is of paramount importance to many parents today. Correctly done, a formal intervention may be the best means of getting him or her there. An intervention is as far from a cozy chat as one can get. While it doesn’t have to be brutal, it does have to be forthright and purposeful. It will also be emotional. In this orchestrated discussion between a user and three to six significant people in his life (no more or he’ll feel ganged up on), everyone—including the user—gets to express their feelings in a constructive manner. They also have to listen to one another at the deepest level. The hope is that, as the user sees how his actions are impacting the people he most cares about, he will be moved to do what’s necessary to kick his habit. Los Angeles-based interventionist Earl Hightower says, “I cannot emphasize enough the importance of pre-intervention work.” This is a time for the family to educate themselves about the user’s particular addiction, examine unhealthy family dynamics, find out about rehabilitation options, and make arrangements for subsequent treatment. This is also a time for the family to hire a professional interventionist, who will meet with them to get all the facts, lay out a plan, assign roles, and explain how the process will unfold. The interventionist will have the family members write out their individual parts, citing specific incidents and harmful behaviors. They should rehearse in front of one another to make sure they are conveying love and support. All aggressive, angry judgmental, and guilt-inducing sentiments should be weeded out. Surprisingly, according to those in the field, the user often embraces the attention he gets in an intervention. In the best-case scenario, the adult child wants to get better and please his parents so he agrees to do whatever is necessary to kick his habit. In those instances the session can be short, even a matter of minutes, at which point it’s up to the interventionist to declare victory and call it a day. On the other end of the scale, Penny Jenkins told me she once participated in an intervention that took eleven hours until the user agreed to counseling! In the worst-case scenario, the user may become belligerent, uncooperative or simply walk out. In those cases the interventionist may have to come back. Rarely, unlike on TV, is the user whisked off to treatment immediately. But the professionals say he should start seeing a therapist or enter a 12-step or rehab program within a few days because, if he takes to long to think about it, the chances of success dwindle dramatically. Never was the saying, “Where there’s life, there’s hope,” truer than in the addiction arena, and parents of grown children have lots of resources to combat the scourge that’s tearing apart their family. They can find interventionists through the Association of Intervention Specialists (AIS) or the Network of Independent Interventionists (NII). They can also contact their local drug and alcohol treatment centers for referrals, and they may avail themselves of such faith-based recovery organizations as Celebrate Hope. Finally, they can get information from the National Council on Alcoholism and Drug Dependence, the Drug Dependence National Intervention Network, and the Intervention Resource Center.